Virtualisation vendor will rely on the channel to bring its new backup product to market. Veeam’s latest backup solution, Availability Suite v8, will support Veeam Cloud Connect when it is released in Q4. 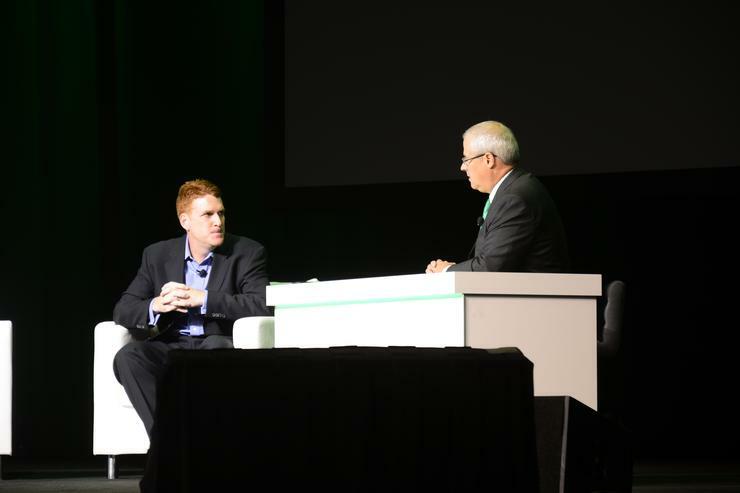 At VeeamOn in Las Vegas, North American channel chief, Chris Moore, said Cloud Connect stands out for its ability to easily move backups to an offsite repository managed by any service provider. “The features and functionality of Availability Suite v8 is going to cause a disruption, where people are going to try to figure out what we did and catch up,” he said. Moore expects the “enterprise functionality” of the backup solution to help it “move up the channel” to enterprise customer with the help of partners and resellers in that market. Besides releasing new products, Moore said Veeam has been looking at company synergies and how to capitalise on them. VMware is one company Veeam is working closely with, particularly on understanding what they want to do with certain solutions. One recent initiative is related to VMware’s Virtual SAN, where a channel partner has an ability to earn 15 points of extra margin by layering a Veeam solution on top of a deployment. “When registering a deal opportunity, that can add up to 50 points of margin on a deal where it is VMware with Veeam together,” he said. “We have zero conflict and no ability to take our products direct,” he said. Moore said the company is unique in providing virtualised backup replication and it does not want move out of that niche, as it has been successful and the company believes in the market. “The investments from us with continue to come, and we will work with the right partners to grow the ecosystem,” he said. In addition to having a strong channel network, Moore said the vendor will also continue to innovate its products so partners and resellers have the right solutions to provide to their customers. NVidia looking at 3D Rendering-as-a-Service?